Closings not coming as quickly or in numbers you want to see? Six percent commissions not knocking on your door? It’s time for you to knock on the doors of the homes you want to sell by implementing realtor marketing. In our previous blog, we discussed how social media can lead to more…leads. It’s a great strategy, using the various social media platforms available to you. But by putting online marketing strategies into place, you’ll surely see an increase in sessions at the closing table. There are plenty of properties you can close on, but were you aware that there are nearly half a million realtors in this country? That’s a whole lot of competition and a very crowded marketplace. It’s more crowded than a 7-member family packing into a three-bedroom house! Your realtor marketing plan needs to be a solid one to get your name out there. You need a presence on the internet. How best to go about implementing that plan? You’re a professional realtor. Make sure you put a professional website into place. 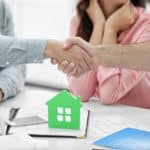 Yes, you’ll be on the firm’s site, but you do need to be more than just one of several realtors on a site, and if you’re with a large firm like Keller-Williams or Coldwell-Banker, you’ll get lost in the shuffle. Your website should pop and draw the eye to you and your listings. Present yourself in a professional manner, letting the viewer know they’re in the hands of someone who’s extremely knowledgeable, as well as personable and approachable. Your listings should have dollar range, with great detailed information and mesmerizing pictures of your listings. Provide the viewer with a wow factor, and make them remember you when they get off the internet. That’s a standard phrase, as you well know. However, in addition to your company website and your personal page, you can gain plenty of exposure by utilizing sites like Zilllow, Trulia, and others. Many potential buyers head to these sites as references, and your presence there can mean the difference between selling a property and losing out to a realtor who’s there if you aren’t. Plus, the more links out there that direct viewers to your site, the higher your site will rise in ranking on the search results. Finding ways to market properties as well as yourself is a vital way to enhance your marketing efforts. Learn how Search Engine Optimization (SEO) will enable you to gain more visibility and traction in organic searches for realtors and properties. Boost your position on Google searches by utilizing important keywords and phrases, as well as quality content in your descriptions and meta tags. These are vital techniques that will improve your placement into a top level in search engines like Google. Most people don’t take the time or have the attention span to go to the second or third page of searches, so it’s critical to get on the first page, and even in the top 10. Newsletters and E-blasts are great ways to get your presence out there and nurture viewers into potential clients. Incentivize viewers with a coupon or a gift, as well as inform them about the market and its trends and home buying tips. This type of communication should be done at least monthly. Keep your name in front of potential leads, don’t let them forget you. Yes, it’s hard enough breaking through and becoming the go-to realtor in the area. But by implementing these types of realtor marketing strategies, you can make the process move much more quickly. If you’re looking for help, For Sale Marketing is a team of uber-competent players who are well versed to assist you in any of these facets of marketing and more. We’re here to help the commissions come rolling in. Don’t hesitate to reach out to us at (954) 866-1107.